It's not uncommon for people to think of plants as their friends or perhaps their pets. They care for them. They water and feed them. Sometimes, they even talk to them. There's nothing wrong with this way of thinking! But it would be equally valid for people to think of plants as their workers. They often don't think of plants this way, but it's true. Plants perform tasks that are needed and beneficial, whether in and around one's home, or at their place of business. In this way, plants are friends — with benefits. This might sound counterintuitive, perhaps even odd, but it's all backed up by research. Some of the benefits might even surprise you! 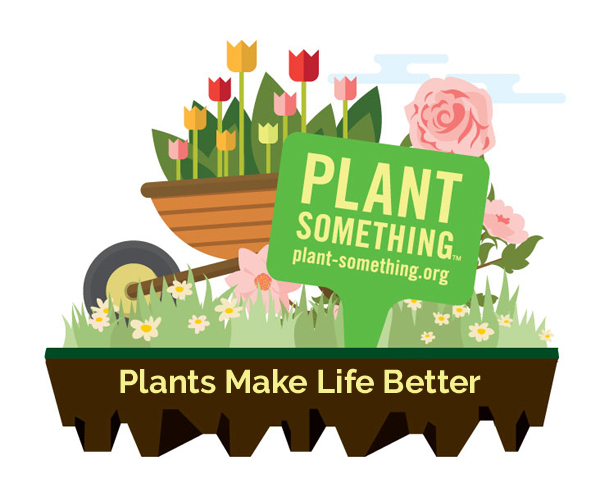 The Oregon Association of Nurseries and the Plant Something Oregon campaign encourage people to make use of plants in beneficial ways in almost every aspect of their life. Here are some of the benefits plants can provide. Houseplants reduce indoor air pollution. Unhealthy indoor air — with volatile organic compounds, ozone and other pollutants — causes serious health problems. It cuts into worker productivity and drives up medical costs. Houseplants provide a cost-effective solution, removing pollutants and return oxygen to the air. Some of the best plants for this are Japanese royal ferns, spider plants, Boston Ferns, purple waffle plants, English ivy, areca palms, golden pothos, aloe vera, snake plants and peace lilies. Plants reduce stress in the workplace. Research compiled by the University of Washington Urban Forestry/Urban Greening Research Department shows that having living plants inside and out can alleviate mental fatigue and sharpen focus on tasks. The positive connection to nature is so potent that simply having views of the natural world from windows can "help reduce stress, boost productivity, improve job satisfaction, and help workers stay more attentive," according to one report. Landscaping boosts property values. One study shows that for every $1 invested in plants, property values increase an average of $1.09 — a yield that beats other property improvements. Curb appeal from professionally designed landscapes and lawns leads potential homebuyers to perceive higher property values, which can produce a significant return on investment. Businesses featuring aesthetically pleasing, landscaped grounds create a welcoming environment, which brings in more customers, improves the perceived quality of the business's products and services, and boosts sales. Plants promote safety and cut crime. When city buildings have trees and well-maintained vegetation, the communities are healthier and safer. One study of inner-city Chicago housing communities compared architecturally similar buildings and found that those with higher levels of vegetation had 52 percent fewer total crimes. Furthermore, there were 48 percent fewer property crimes and 56 percent fewer violent crimes than those with lower levels of vegetation. Plants save energy and maintenance costs. Shade trees and landscaping along paved streets can cut the cost of street repairs, lower the costs of maintaining nearby buildings, and make people more comfortable by moderating the effects of the weather. When asphalt is exposed to the direct, intense rays of the sun, it can reach extremely high temperatures, causing it to break down more quickly and requiring more frequent repairs. One study has shown that protecting streets with a shady canopy cuts costs. Well-planned landscaping also protects buildings from the sun's pounding rays in summer and the biting conditions of winter. Plants help kids learn. Studies show that exposure to plants and nature improves learning and helps kids in many important ways. Playing in natural settings helps develop creativity and imagination. It promotes problem solving, supports intellectual development, and enhances children's ability to concentrate and to gain and retain new information. Trees improve air quality. More than 80 percent of Americans live in urban areas, but the air in their communities contains a host of pollutants that can harm human health, from visible smog caused by motor vehicle exhaust to particulate pollution consisting of dust, dirt, pollen, ash and smoke. Fortunately, trees and other plants can purify the air, removing pollutants both seen and unseen. Trees catch airborne particulates with their leaves and bark, absorb gases and odors, contribute oxygen and reduce heat through respiration. A mature leafy tree generates as much oxygen in a single season as 10 people inhale in a year. Plants purify our water. According to the U.S. Environmental Protection Agency, stormwater runoff is the biggest problem facing the nation's water supply. When rain hits impervious surfaces, such as pavement and roofs, the runoff picks up contaminants and sweeps them into streams and lakes, causing pollution. Trees and other plants can offset this process by absorbing and recycling water into the atmosphere through transpiration. One large tree can capture and filter up to 36,500 gallons of water per year. Gardening can be a crucial part of a healthy, active lifestyle, and you will see the benefits. Don't just stand there — Plant Something! Log on to www.PlantSomethingOregon.com, where you can sign up for our electronic newsletter and receive expert advice on how to succeed in the garden, from beautiful flowers to tasty vegetables, fruits and berries. You can also search the site for local nurseries offering just what you need for your yard, home, office, patio or whatever!